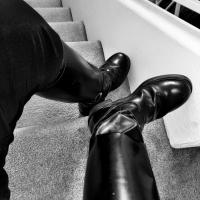 Boots For Sale is the category where discussions regarding the sale of boots, leather and uniform gear should be posted. 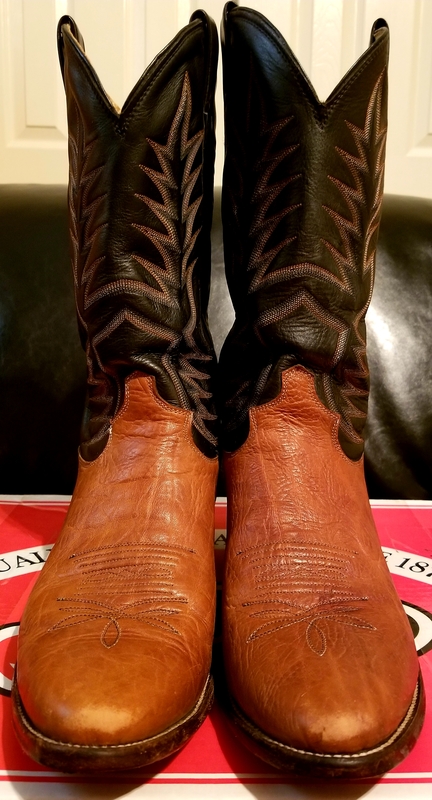 Posts that involve selling your boots or gear should be entered in the Boots For Sale category but as a separate, new post, not as a comment to this post. Select "New Discussion" on the right to enter your post. Use the "Image" button in the comments box to post photos in your message. It's the button with the tiny picture on it. Buyer beware! The Boots for Sale page is provided for the convenience of Hot Boots users. The Trustees of Hot Boots are not responsible for the items listed, the honesty or integrity of any sellers, and urge buyers to use their own reasonable judgment and caution before entering into any transaction. For your safety, obtain a PayPal invoice from the seller, and pay for the item through PayPal, as this offers some level of guarantee of fair dealing and a method of recourse if something goes wrong. This looks great to me. I bought these used without the box but only worn once :( I want these hot boots to go to a good home and hope they get more wear. Measurements: Height (sole to top) = 13” Sole = 12.3” Width (sole) = 4.25” Calf Circumference > ~ 16-17” this can be adjusted since they are Velcro sides | eBay! 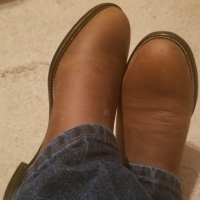 I have a hot pair of well broken in lineman Wesco for sale on ebay. Check them out, I need to thin out the herd a little. Should have added that these wescos are about 10.5 to 11 wide. I normally wear a 10.5 and these fit with heavy socks. See the ebay site for more info, having trouble posting pics here.